Background: Non-medical prescription drug use is an ongoing problem in India; however, there is paucity of literature in the Indian population. Objective: The objective of the present study is to explore the non-medical use of prescription medicines in urban Bangalore, South India (N = 717). Materials and Methods: Participants were recruited using a mall-intercept approach, wherein they were intercepted in 5 randomly selected shopping malls, and interviewed on their use of prescription medicines. Results: The mean age of the participants was 28 years (S.D. 5). The non-medical use of different prescription medicine classes over the past 12 months was as follows: anti-inflammatories and analgesics (26%), opioids (17%), antibiotics (13%), and sedatives (12%). The majority reported "use without prescription," while "use in ways other than as prescribed" was also reported. In all cases, chemist shops were the main source of obtaining the drugs non-medically. In multivariate logistic regression analyses, non-medical use was found to be significantly associated with participants' baseline characteristics like gender, education, current employment status, and marital status. Sixty-five percent stated that although "doctor's prescription is not required for common complaints, we can decide ourselves," while 60% stated, "it's okay to deviate from a prescription as needed." One hundred percent said that "using prescription medicines is more socially acceptable, and safer, compared to alcohol or illicit drugs." Conclusion: These findings underscore the need for considering various contextual factors in tailoring preventive interventions for reducing non-medical use of prescription drugs. Background: Call handlers employed in call centers repeatedly undergo stress in their day-to-day lives and this can have deleterious effects on their health. Objectives: The objectives were to study the levels of stress, anxiety, and depression, and their predictors among call handlers employed in international call centers in the National Capital Region (NCR) of Delhi. Materials and Methods: A cross-sectional questionnaire-based survey was conducted among 375 call handlers aged 18-39 years. Depression Anxiety Stress Scale- 42 (DASS-42) was used to measure stress, anxiety, and depression along with a pretested sociodemographic questionnaire. Univariate analysis was done to find out the association of stress, anxiety, and depression with various factors. Variables with P < 0.25 were included in multiple logistic regression and three models were developed each for stress, anxiety, and depression. Results: The prevalence of stress, anxiety, and depression among call handlers was 46.7%, 57.1%, and 62.9% respectively. Abnormal sleep quality, prolonged travel time, and lack of relaxation facilities at the office were predictors of stress and depression. The presence of physical ailments, the absence of hobbies, temporary/part-time employment, and traveling long-distance to office were significant predictors of anxiety among call handlers. Conclusion: Call handlers face a high burden of stress, anxiety, and depression. Public health specialists need to pay adequate attention to their health problems. Background: Hypertension is the most common cause of cardiovascular disease, and the growing epidemic is a serious warning to pay more attention to this disease. The aims of this study were to examine the relationships between the health promotion model (HPM) constructs and sodium intake, and to determine the predictive power of the HPM constructs as the possible mediators of sodium intake in rural Iranian hypertensive patients. Materials and Methods: This cross-sectional study was conducted on 671 hypertensive patients in Ardabil, Iran in 2013. The data were obtained during a 25-40 min face-to-face conversation by validated and reliable instruments. The nutritional data were assessed with Nutritionist version 4 (N4) software. Descriptive statistics, Spearman's correlations were calculated using SPSS Statistics version 18.0. Structural equation modeling was conducted using AMOS version 18. Results: Sodium intake was negatively correlated with perceived benefits (r = -0.707; P < 0.01), perceived self-efficacy (r = -0.719; P < 0.01), situational influences (r = -0.590; P < 0.01), interpersonal influences (r = -0.637; P < 0.01), commitment to action (r = -0.605; P < 0.01), affects related behavior (r = -0.499; P < 0.01), and positively associated with the perceived barriers score (r = 0.563; P < 0.01). The structural equation modeling showed that the model explained 63.0% of the variation in sodium intake. Conclusions: HPM constructs were significantly associated with sodium intake and dietary perceptions based on HPM constructs can predict acceptable rate of the variation of sodium intake. Therefore, we suggest using this model constructs to improve the effectiveness of nutritional interventions. Background: Outbreaks of streptococcal pneumonia among young recruits in military training centers are well-documented. A significant outbreak of pneumonia occurred between November 19, 2011 and February 4, 2012 among the young recruits of a large training center located in Southern India. Objectives: The objective of this investigation was to identify the cause of the outbreak, to control the outbreak at the earliest, and to provide future strategies for containing such an outbreak. Materials and Methods: The outbreak was investigated using standard epidemiological methods so as to describe its epidemiology, to identify the causative organism, to guide the outbreak control efforts, and to provide future strategies for containing such an outbreak. Results: Over 2 months, 58 cases of pneumonia occurred among the recruits of the center, giving an attack rate of 4.81 cases per 1,000 person-months. Radiological positivity was found in 72.4% of the cases. Streptococcus pneumoniae (S. pneumoniae) was grown in all the three bronchoalveolar lavage (BAL) samples. The outbreak rapidly ended following prophylaxis with oral azithromycin. Conclusions: This outbreak of pneumococcal disease occurred in the setting of intense military training and a crowded environment. Oral azithromycin was found to be the suitable strategy for control of the outbreak. Background: The Internet is a widely used tool known to foster addictive behavior, and Internet addiction threatens to develop into a major public health issue in the near future in a rapidly developing country like India. Objective: This cross-sectional study intends to estimate prevalence, understand patterns, and evaluate risk factors for Internet addiction among college students in the city of Bengaluru, India. Materials and Methods: Out of a total of 554 data samples from eight colleges selected through multistage cluster sampling, 515 samples were analyzed. Young's 20-item Internet Addiction Test (IAT), an inventory including demographic factors and patterns of internet use, was administered. Results: This study of college students aged 16-26 years (mean ± SD 19.2 ± 2.4 years), with marginally high female representation (56%), identified 34% [95% confidence interval (CI) 29.91-38.09%] and 8% (95%, CI 5.97-10.63%) as students with mild and moderate Internet addiction respectively. Binary logistic regression found Internet addiction to be associated with male gender [adjusted odds ratio (AOR) 1.69, 95% CI, 1.081- 2.65, P = 0.021], continuous availability online (AOR 1.724, 95% CI, 1.018-2.923, P = 0.042), using the Internet less for coursework/assignments (AOR 0.415, 95% CI, 0.263-0.655, P < 0.001), making new friendships online (AOR 1.721, 95% CI, 1.785-2.849, P = 0.034), getting into relationships online (AOR 2.283, 95% CI, 1.424-3.663, P = 0.001). Conclusion: The results highlight the vulnerability of college students to Internet addiction. The findings provide explanations on the addictive behavior of the internet users, support the inclusion of "Internet Addiction" in the DSM-VI, and open up new paths for further research. Contemporary health research has come under close scrutiny, exposing alarming flaws in the reporting of research. The reporting guidelines can aid in identification of poorly reported studies and can bring transparency to health research. The guidelines also help journal editors, peer reviewers, funding agencies, and readers to better discern health research. Reporting guidelines encourage accurate and thorough reporting of fundamental aspects of health research so that the results of studies can be replicated by others. Reporting guidelines are potent tools to improve the practice of research and in reducing reporting bias. For the present review, both electronic and manual literature search was carried out. Electronic databases like PubMed, MEDLINE, EBSCO host, and Science Direct were searched for extracting relevant articles. Various key words and their combinations were used for literature search like reporting guidelines, checklist, research, publishing standards, study design, medicine, and dentistry. The search results were scrutinized for relevance to the topic and only full text articles in English were incorporated. Various reporting guidelines were identified and grouped under headings based on study design. This review article attempts to highlight the various reporting guidelines in literature relating to health research, its potential applications, and its limitations. In spite of aspiring to be a good manager, we public health experts fail to evaluate ourselves against our personal and professional goals. The Key Result Areas (KRAs) or key performance indicators (KPIs) help us in setting our operational (day-to-day) and/or strategic (long-term) goals followed by grading ourselves at different times of our careers. These shall help in assessing our strengths and weaknesses. The weakest KRA should set the maximum extent to which one should use his/her skills and abilities to have the greatest impact on his/her career. This paper underscores some of the barriers and facilitators in the practice of evidence-based public health (EBPH). A large body of evidence-based interventions (EBIs) exists, which has been generated through highly robust systematic reviews. These EBIs have been widely disseminated and promoted by public health researchers and the World Health Organization (WHO) as effective public health interventions against various preventable/treatable diseases. The inability of many low- and middle-income countries to contextually adapt and effectively implement evidence-informed interventions (EBIs) has been identified as a major obstacle to progress in achieving Millennium Development Goals (MDGs). Hence, it is imperative to identify and understand the factors that are detrimental to the successful transfer of evidence into policy as well as practice. This paper discusses how factors such as political, contextual, and organizational factors; nature of evidence; and community participation influence the practice of EBPH. Data on correlates of physical activity (PA) are limited in India. This study estimated the prevalence and correlates of PA among women. A cross-sectional survey was conducted among 1303 women (mean age 45 years) selected by multistage cluster sampling. Information was collected using a pretested interview schedule. Multivariate logistic regression analysis was used to determine the correlates of PA. Self-reported moderate or high level PA prevalence was 73.4% [95% confidence interval (CI); 71.1-75.9]. Women who perceived themselves as being underweight [odds ratio (OR) 3.68: 1.97-6.74]; had an exercising member in the household (OR 3.41: 2.52-4.66); had access to exercise facilities (OR 2.17: 1.63-2.95); were married (OR 2.14: 1.40-3.25), were in the age group of 35-54 years (OR 1.91: 1.32-2.63); reported having knowledge about the benefits of PA (OR 1.62: 1.13-2.25); and who reported having the support of friends and neighbors (OR 1.42: 1.05-2.01) were more likely to report PA than their counterparts. Hand, foot, and mouth disease (HFMD) is one of the important public health problems. It has become a common childhood illness in our part of the country. In most instances, this is a mild self-limiting illness. The affected children are often given outpatient care. However, over the last decade, HFMD has emerged as a growing health problem in Asian countries following frequent outbreaks of deaths associated with HFMD caused by a more virulent member of human enterovirus (HEV), namely, HEV71. 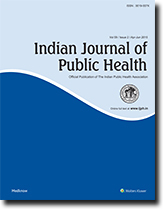 A hospital-based descriptive study about the clinical presentations and complications of HFMD at the hospitals of Shimoga city between March 2013 and August 2013 is documented and presented here. 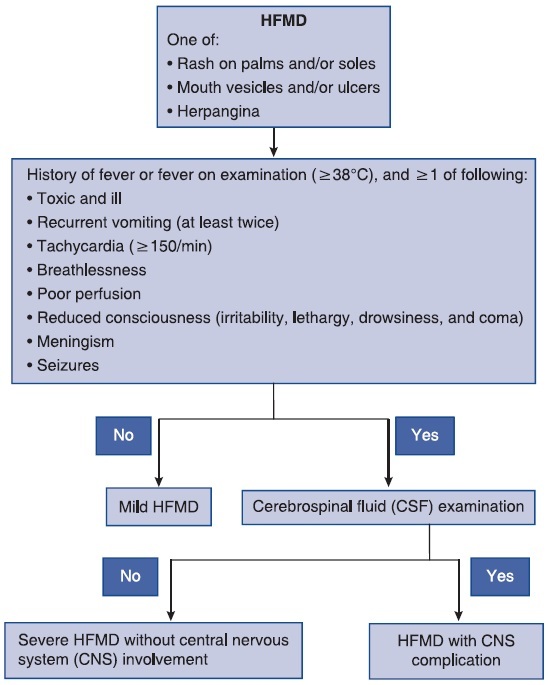 HFMD was more common in the 1-3-year old age group, with aseptic meningitis being the most common complication. Surveillance of HFMD must be maintained as there is no effective chemoprophylaxis or vaccine available. 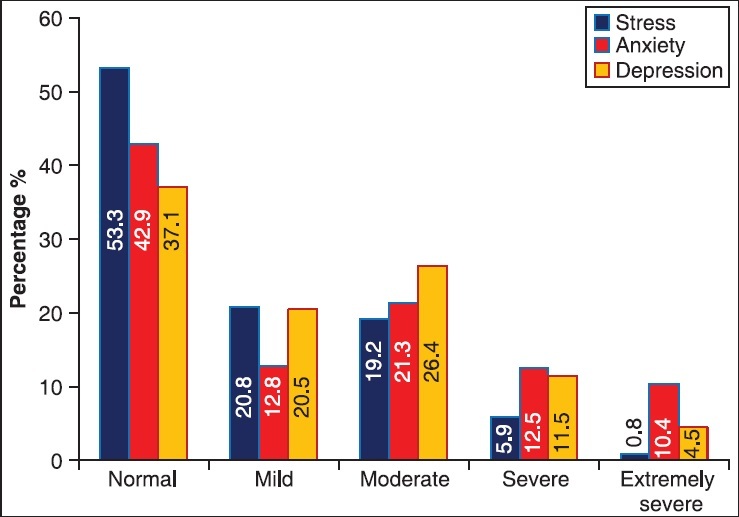 Glucose-6-phosphate dehydrogenase (G6PD) deficiency is the most common erythrocyte enzymopathy, being present in more than 400 million people worldwide that may lead to neonatal jaundice or hemolytic crisis due to drugs or infections. In our study, we aimed to study the frequency of G6PD deficiency in neonates and the proportion of deficient neonates, who developed neonatal hyperbilirubinemia in the study population. The study was an observational one, conducted at the Division of Genetics of Maulana Azad Medical College and Lok Nayak Hospital, New Delhi, over a 2-year period from January 2011 to December 2012. A total of 6,000 newborns delivered during that period underwent newborn screening on 24-72 h of birth. Neonatal hyperbilirubinemia was presented in 13.3% of the study population. Of female neonates, 16% demonstrated G6PD deficiency. This is worth noting for an X-linked recessive trait. Thus, in view of a high gene frequency for a disorder that is manageable with just elimination of few drugs and foodstuff, we stress the need for a newborn screening program for G6PD deficiency. Garbha-Swasthya helpline is a telephone helpline run by a tertiary care private hospital to address issues related to pregnancy and its complications. A review of the helpline data from September 2010 to December 2012 was conducted to study caller characteristics, number of calls and related information, and the reasons to call. Out of the total 696 voice calls, 421 were new callers and 275 were repeat callers and they comprised mainly pregnant women (73.3%), their relatives (24.8%), and medical professionals (1.9%). Most calls were related to first pregnancy and were mainly from Pune and other cities of Maharashtra. All calls by the medical professionals were regarding drug safety in pregnancy. The commonest category of questions (27.4%) was about exposures (drugs, alcohol, eclipse, radiation, etc.) 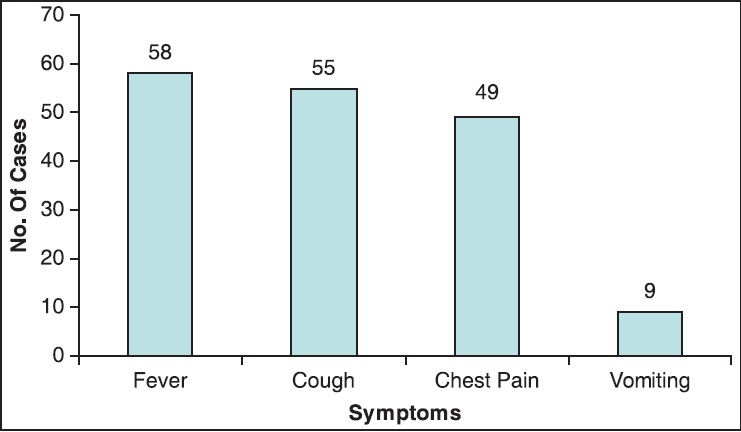 and preexisting medical illness followed by pregnancy complications (18.5%), common medical issues such as nausea/vomiting during pregnancy, and delivery and postpartum period (14% each). Although the total number of calls received has steadily increased, efforts to create public and professional awareness to increase the usage of this helpline are warranted. In Sikkim, especially in the rural areas where there is no supply of treated water for drinking and other domestic uses, natural surface water is the only source. The objective was to assess the water quality of natural sources of water in the rural areas of East Sikkim using a water quality index (WQI) for different seasons. A total of 225 samples, that is, 75 in winter, 75 in summer, and 75 in monsoon were collected from different sources for physicochemical analysis, and a WQI was calculated. The water quality values ranged 32.01-96.71. The results showed that most of the water samples were in poor condition (85.3%) and very few of them were in good condition (2.6%). The water quality of the natural sources indicated that the water is poor-quality and not totally safe for human consumption, and that it needs treatment before consumption.